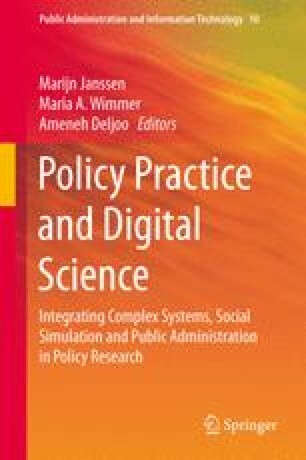 In this chapter, we discuss the consequences of complexity in the real world together with some meaningful ways of understanding and managing such situations. The implications of such complexity are that many social systems are unpredictable by nature, especially when in the presence of structural change (transitions). We shortly discuss the problems arising from a too-narrow focus on quantification in managing complex systems. We criticise some of the approaches that ignore these difficulties and pretend to predict using simplistic models. However, lack of predictability does not automatically imply a lack of managerial possibilities. We will discuss how some insights and tools from “complexity science” can help with such management. Managing a complex system requires a good understanding of the dynamics of the system in question—to know, before they occur, some of the real possibilities that might occur and be ready so they can be reacted to as responsively as possible. Agent-based simulation will be discussed as a tool that is suitable for this task, and its particular strengths and weaknesses for this are discussed. This chapter has been written in the context of the eGovPoliNet project. More information can be found on http://www.policy-community.eu/.